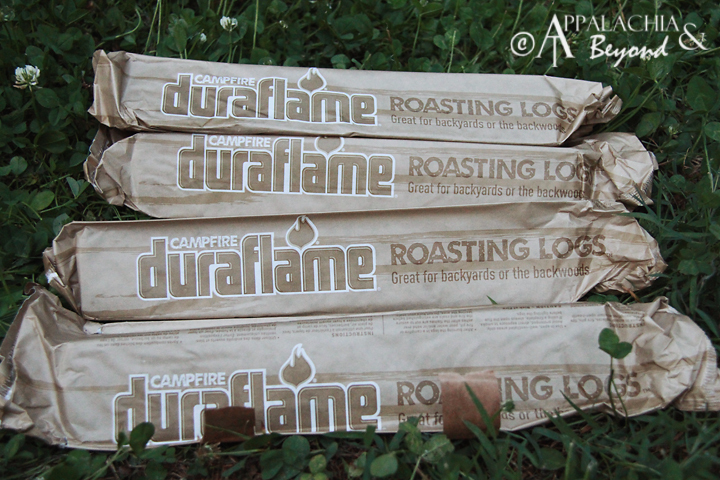 We were recently asked if we would like to try out Duraflame®'s new product, Campfire Roasting Logs™. 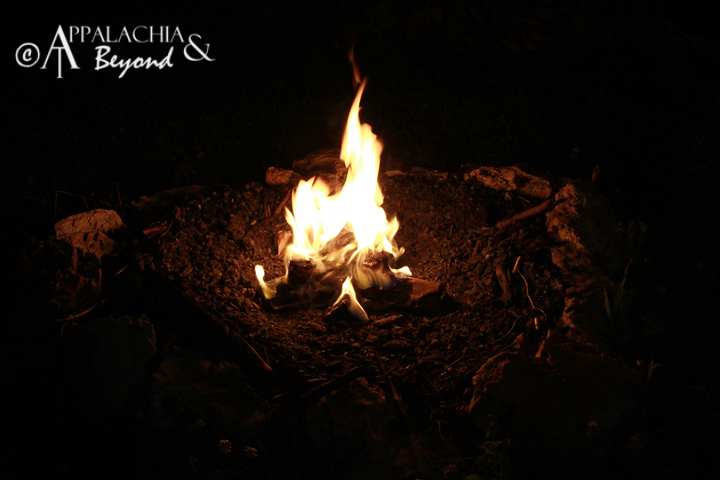 We do have a fire pit out back, and we spend a lot of summer and fall evenings out there relaxing after sunset. With Bug around though, we hadn't had very much "relaxing" time. This particular evening was no exception. Bug's bedtime had come and gone, she had fought sleep for two hours, and we had finally won the battle. After a long day and with two bored teenagers in the house, we decided it was time to kick them (and ourselves) outside for a little R&R by the fire. 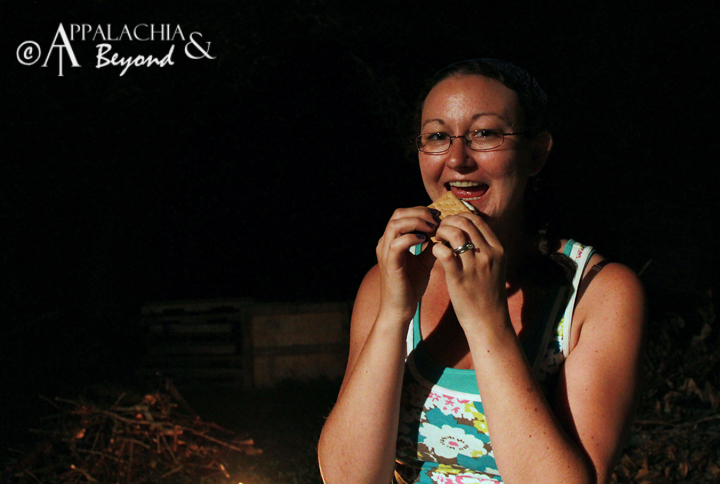 The girls decided they wanted S'mores, and it was then that we remembered we needed to do this review. Duraflame® had been kind enough to not only send us a Campfire Roasting Logs™ pack, but also a S'mores Kit to go with it. 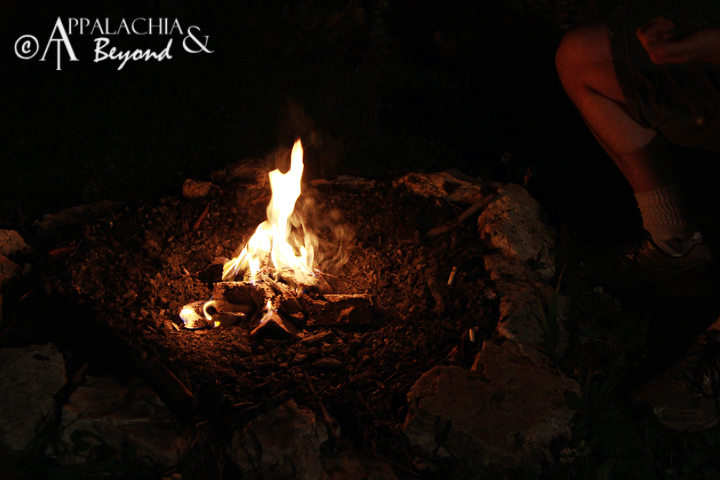 The Campfire Roasting Logs™ pack comes with four Roasting Logs™ that you just stack in your fire pit and light. They are made from 100% renewable resources (recycled sawdust, renewable bio-wax, and real wood charcoal), and burn cleaner than wood (60% less emissions). 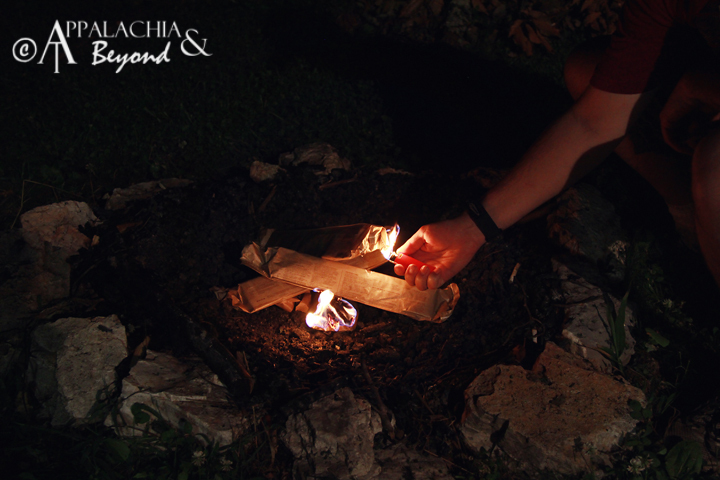 They are lightweight (four Roasting Logs™ equals five pounds), and are remarkably easy to light. They have an amazing burn time. 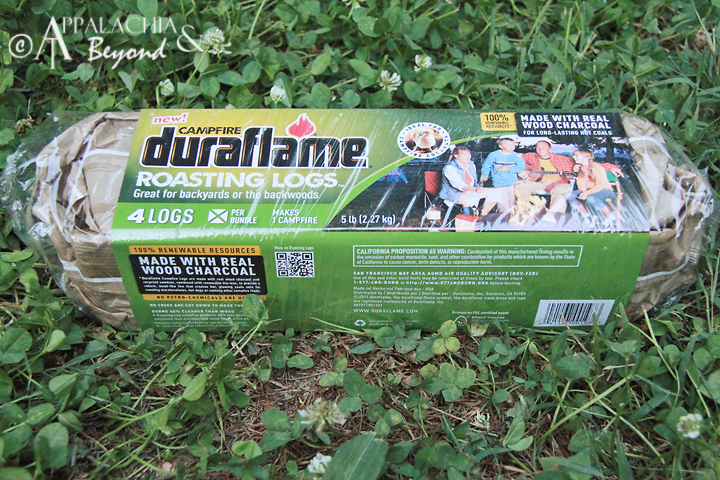 Duraflame®'s packaging states that four logs will burn for up to two hours, but we didn't have the patience to wait that long. You'll see why. Keep reading. 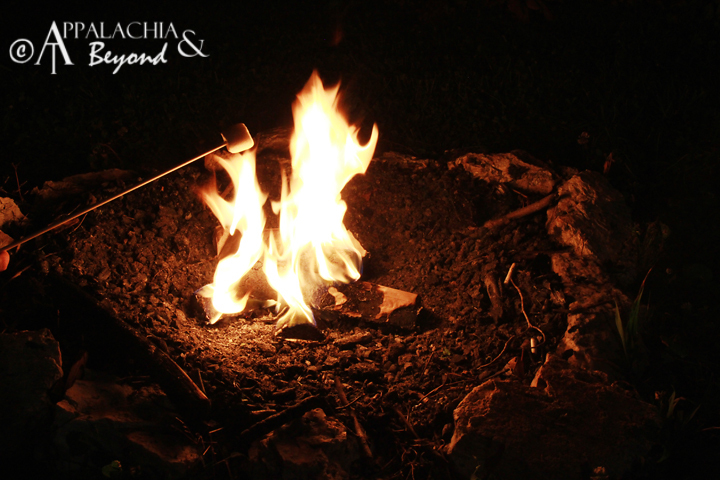 The flames are great for toasting marshmallows. For best results, Duraflame® suggests you wait 45 minutes before roasting. The logs are supposed to burn down and produce hot coals; hot enough to roast hot dogs. 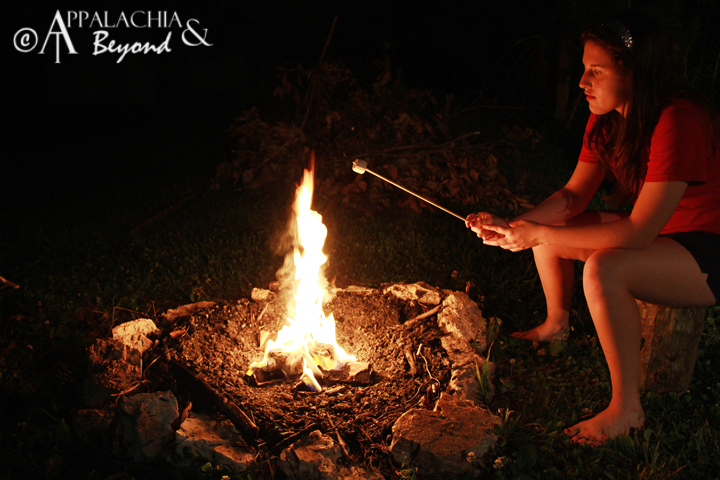 We only roasted marshmallows, and two bored teenagers aren't going to wait 45 minutes. 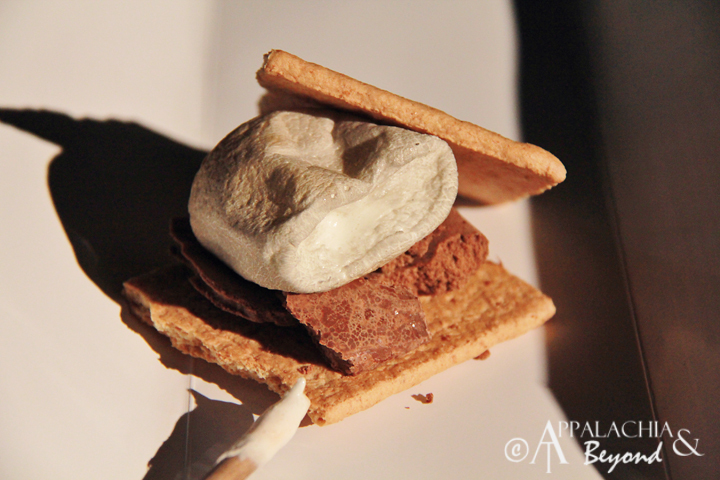 So, they roasted their 'mallows on the open flame. They did complain a lot about the aroma of the logs. Of course, they are used to wood fires. The smoke wasn't very heavy, and as long as you didn't stand right over it, it wasn't extremely noticeable. But I did catch a whiff or two, and to me the scent was comparable to self-lighting charcoal bags. It also wasn't great at warming us. 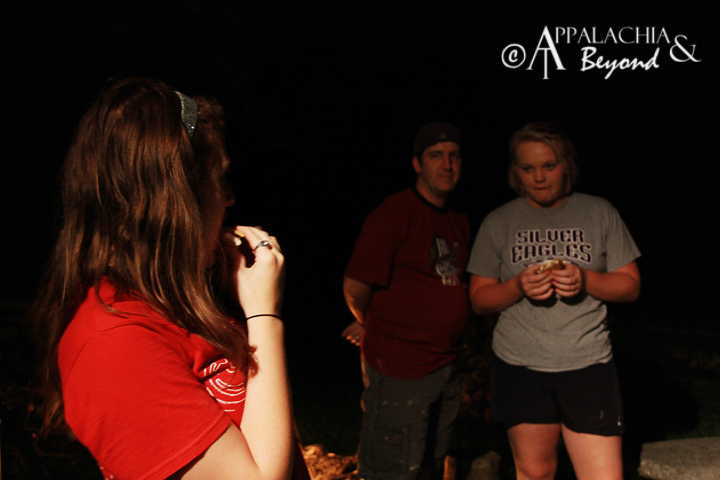 In East Tennessee, we might have hot, muggy days, but we're also blessed with cool, moist nights. 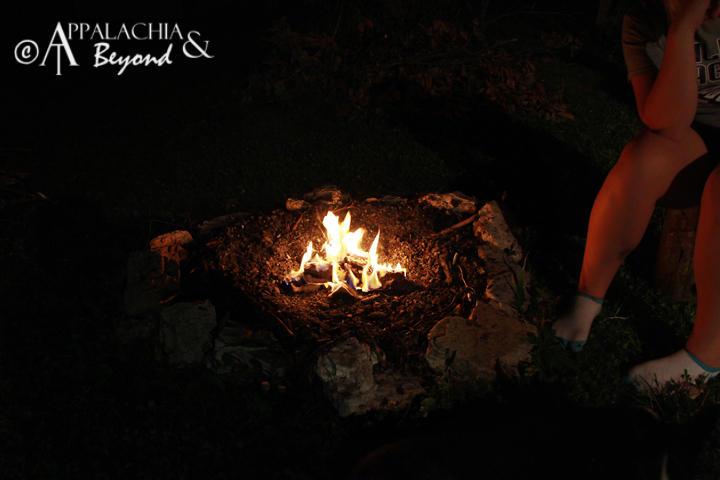 After about an hour of sitting outside (somewhere around 11pm), it was cooling off and the girls were getting chilly. 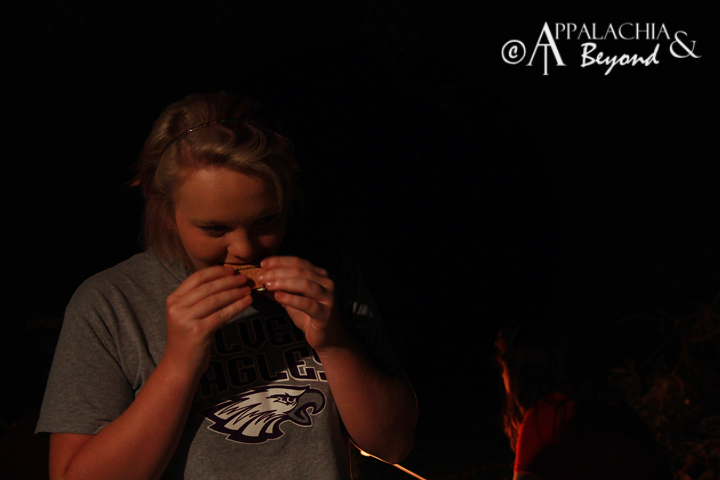 I kept noticing that Jodi was moving closer and closer to the fire. Then she spouted, "I think you have to get IN the fire to get warm!" It wasn't long after this that Tim had lost his patience with it as well. He started piling on the wood eventually getting us a fire large enough and hot enough that the girls had to step away. And it does take quite a bit of wood to get to this capacity. 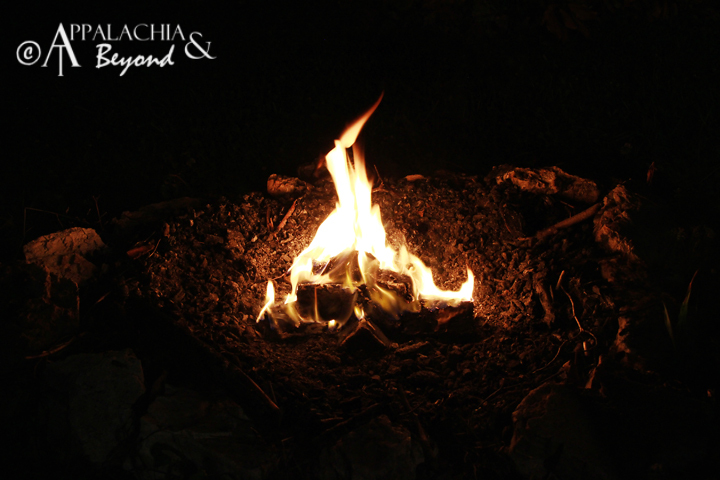 It would have taken just as much to sustain a small fire enough for roasting for an hour. 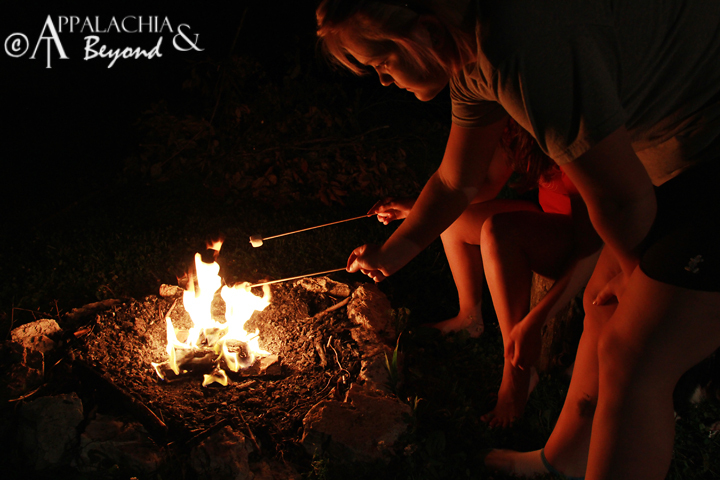 Duraflame®'s Campfire Roasting Logs™ do have this advantage. Four logs (5 lbs) is equal to 24 lbs of firewood. 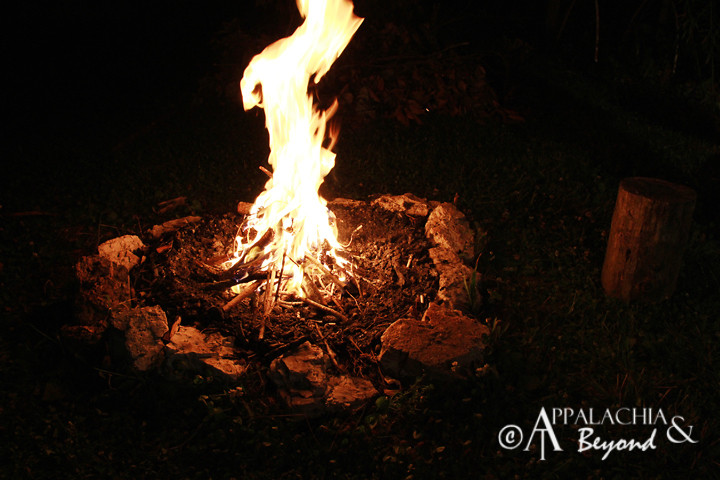 So, if you're out camping (especially in a place where you have to purchase wood instead of burning dead fall), Duraflame®'s Campfire Roasting Logs™ are a great alternative to spending a ton of dough on firewood. At a suggested retail price of $5.99 ($29.99 for a case of six bundles), we give Duraflame®'s Campfire Roasting Logs™ a thumbs up! 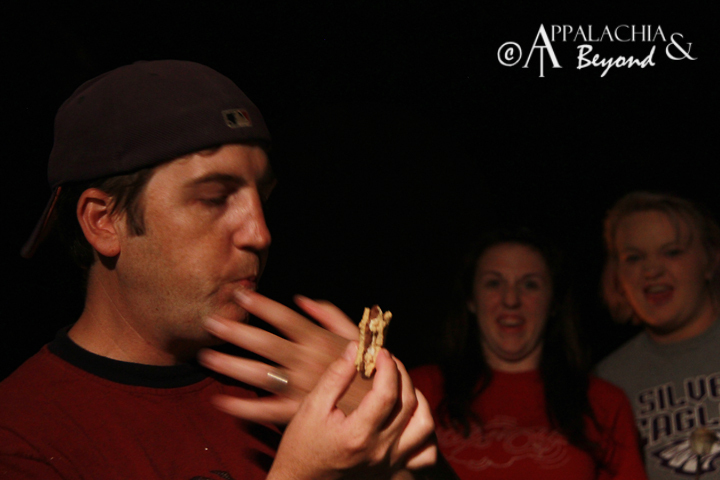 Disclaimer: Tim and Robin received the Duraflame®'s Campfire Roasting Logs™ from Duraflame®' for review purposes only. Appalachia & Beyond are in no way affiliated with Duraflame® and are not being compensated by Duraflame® for this review.. The opinions expressed above are Tim's and Robin's independent thoughts and experiences.